Here we will choose a YouTuber by popularity and fame school-wide. The YouTubers on this series are ones that you should definitely check out! So let’s get into our first YouTuber, Miranda Sings! Miranda Sings has been on YouTube just about since YouTube started in 2004. Her real name is Colleen Ballinger. Colleen also has two other YouTube channels titled PsychoSoprano and Colleen Vlogs. Both popular. Now let’s get into Miranda. Obviously, Miranda is a fictional character made up by Colleen. Colleen created Miranda to make fun of girls who placed themselves above others. At first, only her friends were watching these crazy videos, but the popularity began, and Miranda now has almost nine million subscribers! That is the same as the population of New York City! Now you may be wondering, what does Miranda do on her channel? Miranda does some very strange stuff… she sings, dances, and makes “booger slime.” She is basically a two-year-old in a 22-year-old’s body. One of her videos titled, “Where My Bae’s At?”, is her most popular video uploaded, reaching over 27 million views! 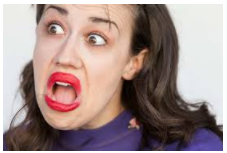 Miranda Sings is definitely an aspiring YouTuber. Not inspiring, however. Her videos are entertaining and the stupidity will make you just laugh. Did you like this YouTuber of the week? Please comment below about what YouTuber you would like to see next week. Until next time, Cougars. Have a great day! can the next youtuber of the week be Idubbbz? Kayla, I’ve never even heard of this YouTuber. I’m so surprised that Miranda Sings is still popular, because she was popular when I was in the 6th grade. Can the next youtuber be Zach King? We are sadly not going to do an article on iDubbz, because he has offensive content. Nor me or Ms. Walters approve of publishing such content, or support it. If there are any other YouTubers you like, comment next week!